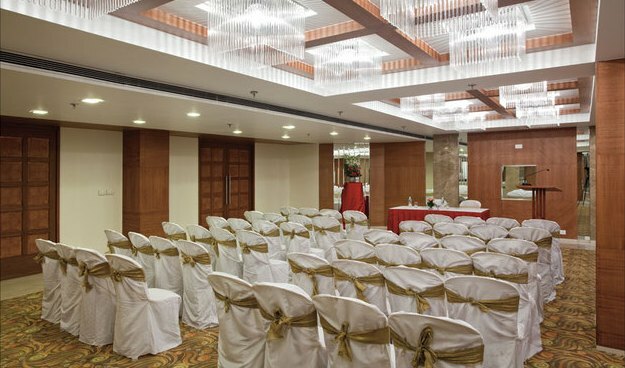 Located just off the SG Highway, the Country Inn & Suites, Ahmedabad provides an ideal venue for your corporate seminar, social gathering or wedding reception. Our versatile meeting rooms feature flexible configurations and modern amenities such as free high-speed Internet access and audiovisual tools, and our friendly staff is available to provide attentive service for up to 125 guests. Distinguish your meeting by offering delectable, chef-prepared meals from Outdoor Catering. This convenient catering service specialises in preparing memorable meals that feature Indian, fusion and Continental cuisine. Event planners at the Country Inn & Suites are available to help you choose the perfect menu and plan event details so you can relax and enjoy the evening along with your guests.